Who does Thom Yorke think he is? The Karma Police? He's a creep. He's a weirdo. 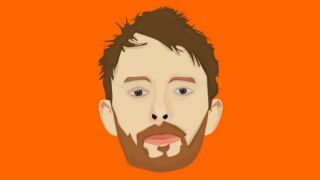 But when Radiohead front man Thom Yorke speaks up against technological injustice against musicians, the world listens. The front man has pulled his music from Spotify for the young artists he feels are getting ripped off by the service. But is he right? Well, there are arguments for and against his position, so you'll have to decide for yourself. For those munching on popcorn while watching Microsoft completely botch the Xbox One launch, you'll be happy to know that Microsoft realises how badly it stuffed things up. It's also said that some of the cooler features like Family Sharing could still make it to the console, although not for launch. Eric Schmidt, fresh from discreetly showing off his Moto X on the weekend, is now telling the world that Google and Apple are mates again Well, kind of. They're talking now, at least, which is something. And if you want another look at Ashton Kutcher's Steve Jobs, there's a new Instagram trailer. Here's hoping it was filmed on an iPhone, then.